Austria’s contribution to the ongoing international aid shipments to the Kurdistan Region arrived yesterday, Friday 22 August, in the Region’s capital Erbil. Austria donated medical emergency equipment which secures the medical care of 100,000 refugees in the Kurdistan Region for about three months. The delivery of nine tons was personally received at the airport by the Governor of Erbil, Nawzad Hadi, and the Disaster Management of the Kurdistan Region’s Ministry of Health, which will distribute the aid to the most affected areas. According to current information, the Kurdistan Region with its 5.5 million inhabitants provides refuge to approximately 1.5 million people who have been fleeing from the extremists of the IS, in particular the Christian, Yezidi, and Turkmen minorities. 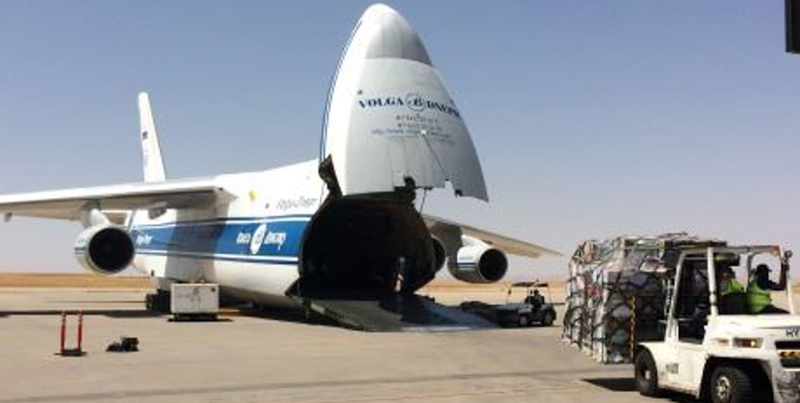 The Austrian cargo arrived in Erbil together with a massive delivery of German relief good, in particular much needed food items, on board a Russian cargo plane commissioned by the German army. Austria thus joins the group of countries worldwide which deliver aid to the Kurdistan Region due to the catastrophic humanitarian crisis. “Austria was among the first countries to provide help to northern Iraq. We do not turn a blind eye to this humanitarian crisis, but we do what we can and offer our help,” says Austrian Foreign Minister Sebastian Kurz. In addition of the delivery of medical emergency supplies Austria has already donated one million Euro of emergency aid to the United Nations Refugee Agency (UNHCR). Dr. Hans-Peter Glanzer, head of the section of Humanitarian Aid abroad at the Austrian Foreign Ministry accompanied the Austrian aid shipment and will assess the situation on-site in the next days, visiting refugee camps and meeting local relief organizations.